As news of Kevin Spacey’s sexual indiscretions surfaced, Ridley Scott knew he had a problem. The Academy Award-winning director had shot a new movie, All the Money in the World, with Spacey. But he realized that, in the current environment, releasing the movie with Spacey still in the lead role would leave the movie D.O.A. 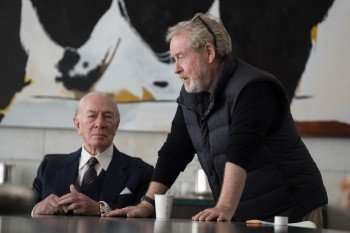 So Scott did the unthinkable — with less than three months before the film’s theatrical release, he reshot all of Spacey’s scenes, replacing him with screen legend Christopher Plummer. With the reshoots and the additional editing necessary, Scott somehow managed to finish the film on time, and when we spoke to him, Scott told us the finished product was worth all the additional effort. Scott’s amazing accomplishment has not gone unnoticed by critics, who have given many accolades to the film and its new star, Plummer. All the Money in the World is playing in theaters now.